Please read the entire warranty statement. Cedar Tree Industry is a one person operation. I do all communication, packaging, shipping, and repairs myself. I offer a 2180 mile warranty. If your Packa fails in any way, or if you just don’t like it, I will fix it, replace it, or refund your money, prior to 2180 miles hiked with the Packa. I’ve come to realize that some people will take advantage of such an open ended policy. I get too many ripped to shreds Packas back from people wanting a replacement or refund. The intent of that warranty was to make buyers feel comfortable knowing that if they don’t like the Packa or have a problem with their Packa, I will make it right without regards to when you bought it. All replacements, exchanges, repairs, and refunds are at my discretion. Your satisfaction is very important to me, and I recognize the difficulty in evaluating products that are solely sold at one website. If you buy a Packa and it is not what you expected, or it does not fit you or your pack, you can return it unused for a full refund or exchange for up to 30 days after you receive it. After 30 days, if you have a problem with the Packa, just let me know. Generally, I will do repairs or replacements, and sometimes even refunds regardless of when you bought it. I am simply trying to reduce the number of heavily used and abused Packas I get returned for a replacement or refund. Please keep in mind that the Packa is gear designed for long distance hiking. The lighter the weight of the Packa, the less durable it will be. If you buy a 20D Packa, you must understand that it is a fragile piece of gear and great care must be taken to keep it in good condition. The 33D Packa can withstand harsher treatment, but you still need to be careful about where you set it down, or what you rub it up against.  It is up to you, the buyer, to determine which Packa will best serve your hiking style. Treat your Packa gently and it will last many years. The Packa is not warranted for fabric failure due to durability issues. Rips, tears, and abrasions are considered general wear and tear and not eligible for replacement or refund. However, I may be able to repair your Packa free of charge. Shipping charges may apply.